Sesame Street is on PBS Kids. I’m tweeting/facebooking from my phone as the Kid is playing with his toys and occasionally watching Jimmy Fallon (yes thats right) teach Elmo about the days word on the street, Nature. I’m in a deep conversation with some Twitter dads about something very important, I’m sure that it was I just don’t remember what it was about. The Kid out of the corner of my eye reaches for a book. Laughs and comes running over me. This happened in slow-mo as almost to say “something bad is going to happen.” The book was not a small book either, it was the book Swing and it is a scanimation book so that makes it a brick compared to other board books. The Kid proceeds to throw the book in my lap. This is a pretty normal thing since he loves to read, and read, and read the same book over, and over, and over again. This time however, the edge of the book hit me right where it hurts. Since it was a nice Spring/Winter day out I had the windows open and I’m sure that neighbors all around me heard me hitting the high note. He laughs (yeah right buddy just wait until you’re older) thinking that daddy is funny. 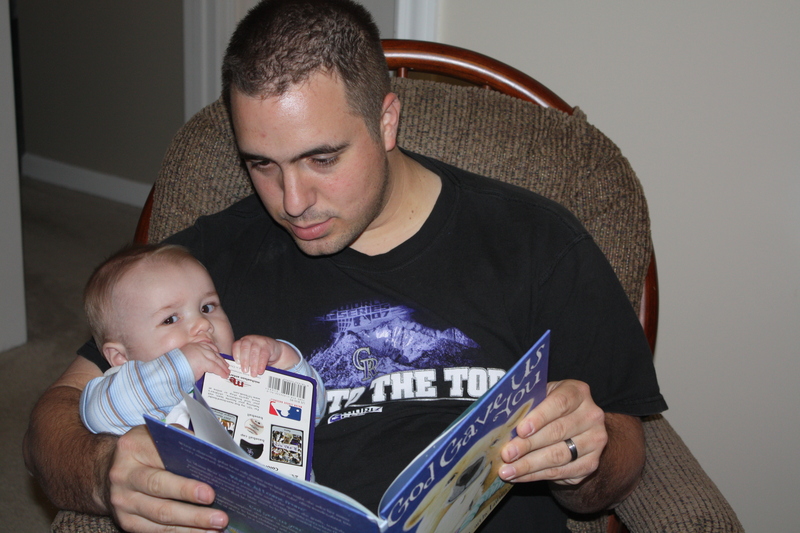 The Kid then decides that hitting the book would be fun too! I had not had time to move the book from the position it first me in so when he hit the book… I sang and even higher high note! He laughs some more (I’ll find some way to get you back) and reaches up to me so that I will read the book to him. I can’t resist it when he reaches up to me so that he can cuddle and read with me… even if he has just gone all cage match MMA fighter on me. Just wait til he gets a little taller and comes running up to you and smashes you with his head…it will happen!